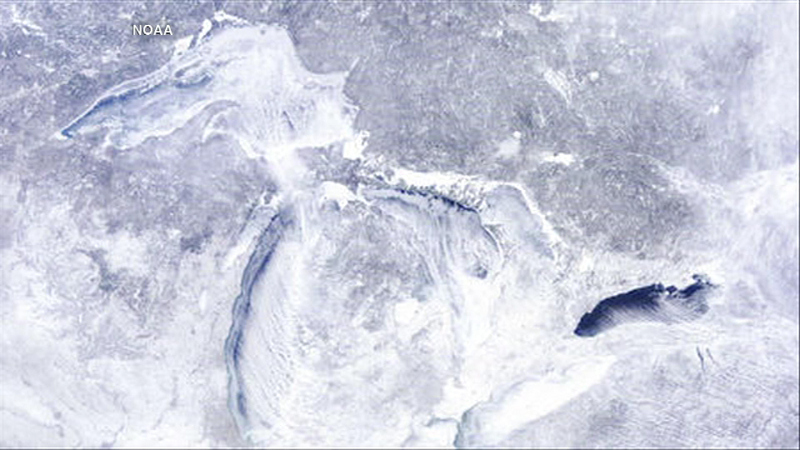 NOAA released this satellite photo showing the Great Lakes 85.4 percent covered in ice - just shy of last year's amount. This winter is nearly as bad as the last one when it comes to the amount of ice on the Great Lakes. The National Oceanic and Atmospheric Administration (NOAA) released this satellite photo showing the Great Lakes 85.4 percent covered in ice - just shy of last year's amount. Experts say all that ice could again lead to a cooler spring and summer. 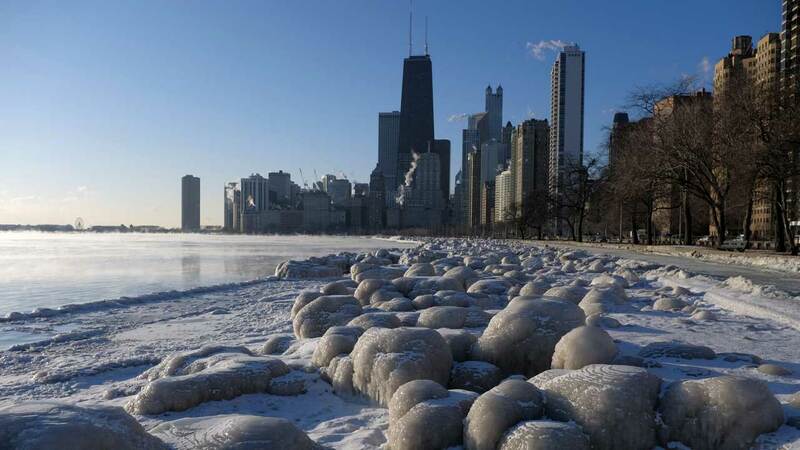 Chicago weather: Cold settles over the city and suburbs once again.